Over the past year we have been going through a Bible verse for each letter of the alphabet. We got a bit behind over the summer, and I am sure we have forgotten a few, so I think we will be starting over. I did want to make sure I got our list of verses to you all in case you wanted to follow along! 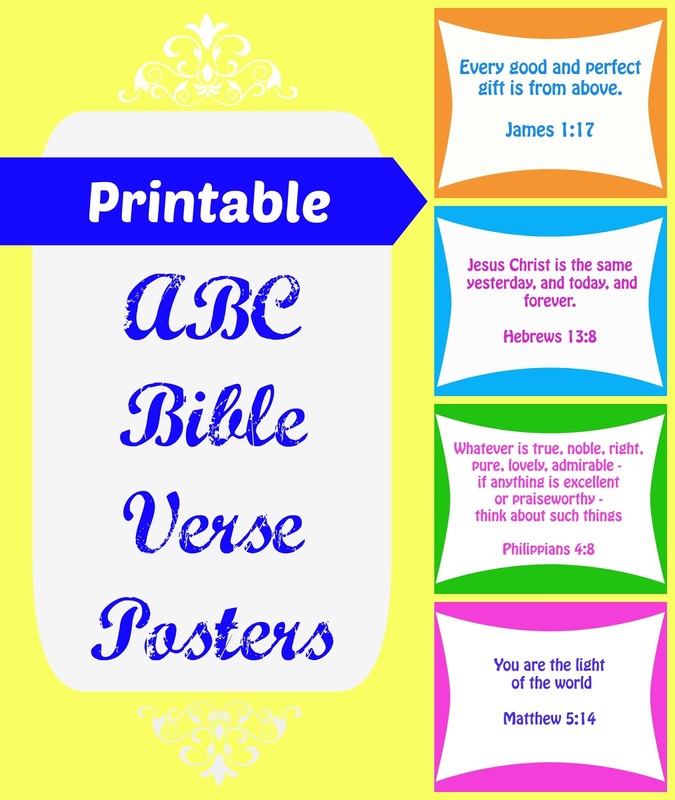 I created posters which I stick in a page protector and hang on our bulletin board while we are memorizing them. What I found best for helping the girls memorize verses is to have them repeat every couple words to start; then again having them repeat longer sections until they can say the whole verse. They can usually get them fairly quickly (within a week), but I haven't found a good way to get them to commit them to long term memory. Any tips on that are welcome! I have also included the below link to download the posters we used on our bulletin board; nothing fancy, but you are welcome to use them in your home. When we went over the verses I also used the Handwriting Worksheet Maker to create worksheets for the girls to copy the verses. To go along with each letter we also colored and discussed a picture from Pondered in My Heart focusing on a biblical virtue.